Dr Edward Bowen, leading the airborne radar group of the Royal Aircraft Establishment in Britain, started a project to improve on the ASV (for “air to surface vessel”) Mark I radar, which had been hastily produced and mounted on several Coastal Command patrol aircraft. ASV Mark I was based on the very first airborne radar which had flown in 1937, and had proved capable of detecting surface warships even in bad weather. The desperate need for a device to help locate U-boats had led to hand-made sets being provided to frontline squadrons as the Mark I, but this set was not sensitive enough to reliably detect submarines and a more reliable mass-produced version was required. Engineers Gerald Touch and Hanbury Brown completed the work on the improved ASV Mark II when Bowen was reassigned. ASV Mark II was usually referred to as a 1.5m wavelength set, but in fact it generated meter waves of 1.7m at a power of 7 kilowatts. A destroyer could be reliably detected about 20 miles way, a submarine usually less depending on whether it was encountered broadside-on or not. The set had a maximum published range of 36 miles, and a minimum range of about 1 mile, so it could not be used to guide a bomber on the final run against a vessel. The first successful use of the ASV Mark II in combat occurred on the 30th of November 1940, when an ASV-equipped Whitley bomber damaged the U-boat U-71 in the Bay of Biscay. An ASV Mark II set was taken as part of the technical examples that the Tizard Mission took to the United States in September 1940. 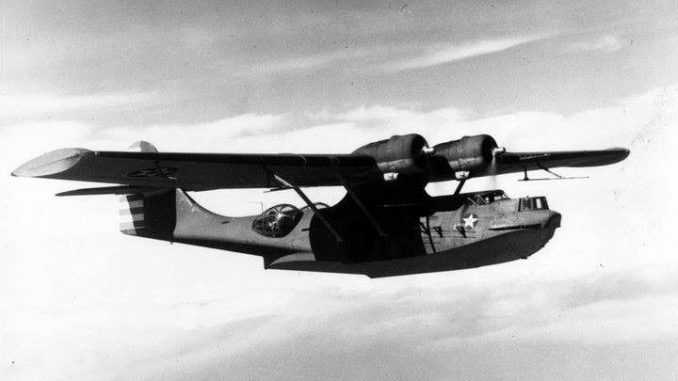 A set was mounted on a US Navy PBY Catalina in December 1940, and the subsequent demonstration proved an immediate success – not surprising, given that the British had already fitted their Lend-Lease Catalinas with the ASV. The result was much more successful than a competing test of a hastily cobbled together airborne SCR-268 mounted on a B-18 bomber. 7,000 ASV sets were soon ordered under license from the American manufacturer Philco, with the sets beginning to be delivered in early 1942. Within the Navy’s designation system for airborne search radars, these sets were known as ASE, whilst the Army dubbed them SCR-521. The aerial array as mounted on aircraft consisted of separate transmitters and receivers. The transmitters mounted on the centreline of the aircraft, which on the PBY Catalina meant on top of fuselage just behind cockpit. The receivers, a pair of distinctive Yagi antennae, were mounted under the wings. The receivers were typically canted 7.5 degrees outboard, which allowed a front of around 40km to be searched, but they could be rotated to offer a much wider search front. 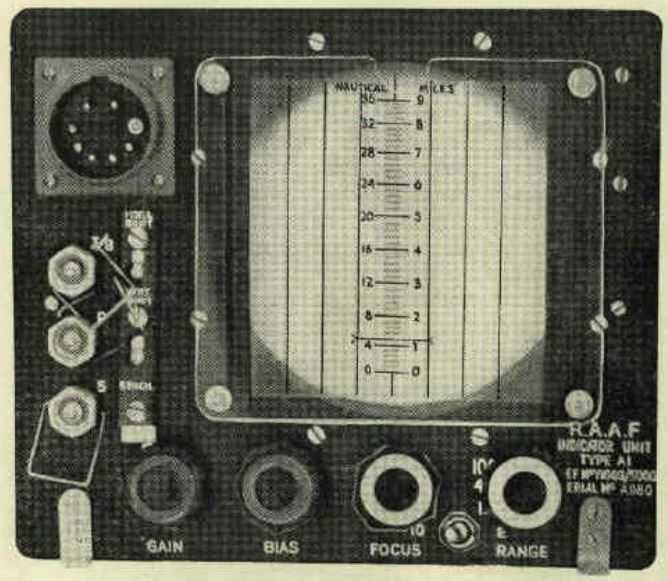 The receiver gear for the ASE included an ‘L-scope’ which allowed the operator to compare the signal strength from the two Yagis directly. By measuring the difference in signal, the rough direction to the target could be established. Philco began delivering ASE sets to the fleet in late 1941, and immediately the Atlantic and Pacific patrol wings began to mount the devices on their patrol aircraft. 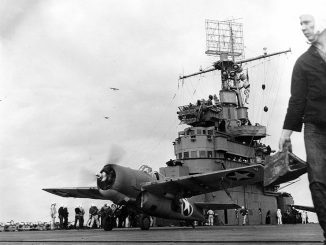 The bulkiness of the equipment meant that it could not be mounted on smaller, single-engine aircraft, so it was mainly reserved for the larger PBYs which made up the bulk of the US Navy’s patrol force. PBYs in both oceans were increasingly equipped with ASEs in the early months of 1942, using them to great effect in several of the key periods of the war. During the Battle of Midway, PBYs were instrumental in finding and tracking the inbound Japanese fleet. On the night of the 3rd and 4th of June four PBYs flying from Midway, all equipped with ASE sets, made a night torpedo attack on the Midway Invasion Force. This force had been spotted by another PBY during the day, and several of the flying boats were jury-rigged to drop torpedoes in the hopes that at least some damage might be done to the onrushing Japanese force. The PBYs found the ships in the dark with their ASE sets, and began individual torpedo runs. A single hit was scored on the oiler Akebono Maru, this turning out to be the only successful American torpedo attack of the battle. 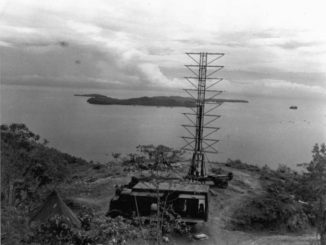 During the Guadalcanal campaign, PBYs searched for Japanese naval forces day and night, relying on their ASE sets to find the enemy when conditions were too poor for visual searches or at night. In the days leading up to the Battle of Santa Cruz, PBYs from VP-91 flew 24 hours a day, and in the early hours of the 24th of October two of their PBYs made a radar-assisted torpedo run on a force of Japanese warships. Hits were claimed, but post-war records indicate that none were scored. 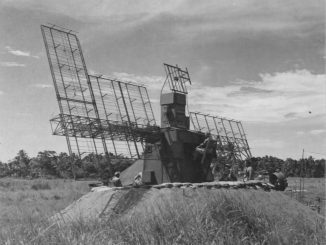 Later, PBYs flew night harassment missions over Japanese airfields, guided to the target by radar operators who were by now proficient at assisting navigators by identifying landmarks on their radar scopes. These types of attacks led to the institution of specialist night attack PBY squadrons. Equipped with ASE, these ‘Black Cat’ units were used extensively during the Solomons and New Guinea campaigns. Low flying PBYs used their radar to find their targets in the darkness, before carrying out low level torpedo or bombing attacks. ASE-equipped PBYs flew through terrible weather to discover Japanese activity in the Aleutians, which was the harbinger of an attempt to break the blockade of Attu and Kiska. This led to the Battle of the Komandorskis in March 1943, the only major naval battle in those waters. In total the British produced 2,000 ASV Mark II sets, the American manufacturer Philco produced 7,000 ASE/SCR-521 sets, the Canadian company Research Enterprises 10,000, and Australian PMG Research Laboratory 1,300. This made the set one of the most widely produced radar sets of the entire war. However, Metox receivers fitted to German ships beginning in late 1942 could detect the 1.7m waves from ASV Mark II, and it was eventually replaced in favour of the centimetric ASV Mark III.